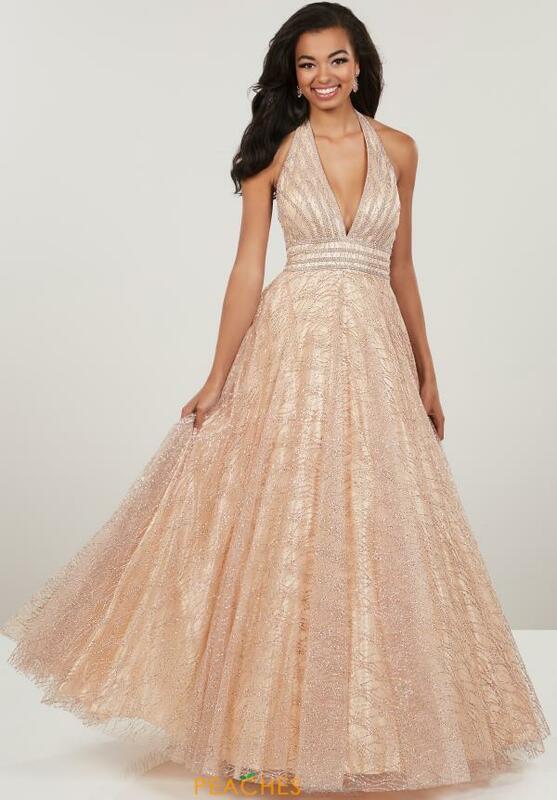 On trend prom dress 14913 by Panoply highlights a flattering halter neckline with a detailed bodice and a waistband that will cinch in the smallest part of your waistline flattering it. The a-line skirt of the dress is adorned with radiant glitter creating a shimmering effect with every move. The open back features a center back zipper closure.